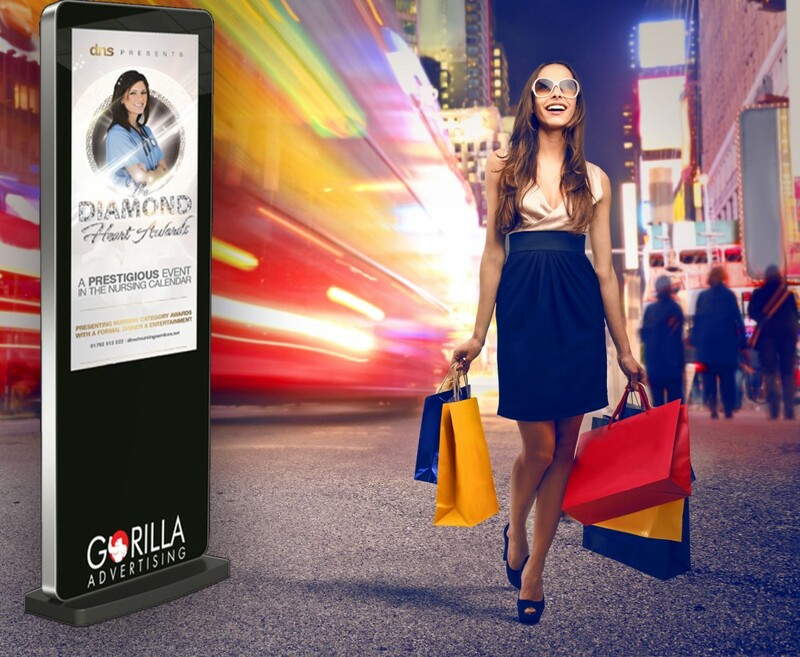 All of the Gorilla Marketing screen locations are picked not just on the marketing demographic but also the volume of footfall in front of the screen. We work closely with the business owners that our screens are located with to monitor levels and to ensure that footfall is at a constant or an upward curve. We work tirelessly to ensure that the cost per thousand views is always kept to a minimum, therefore you will see that when we are not producing commercials we are crunching data. We look forward to seeing your company thrive on our screens.